Introduction: Waiting for kick-off 1. What football was not: The history of Shrove football 2. Entertaining the elite: Football at the public schools and the universities 1555-1863 3. Football outside the public schools: From American indians to Origin of the Species 4. An epoch in the annals of sport: Britain's first football culture, Sheffield 1857-1867 5. Footballing Backwaters? London, the F.A. and the rest, 1860 to 1867 6. 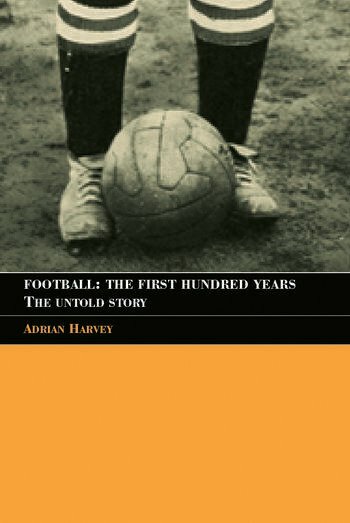 Football splits up but goes national: The creation of a national football culture 1868-1873 7. Kicking and carrying: The geographical distribution of sporting rules 1860-1873 8. Cups, leagues and professionals: Rugby and Association 1874-1901 9. Conclusions: The real history of the creation of modern football.